Dr Stephens is a foot and ankle surgeon who started in medicine following involvement with athletes suffering from foot and ankle conditions. After completing a degree in Physiotherapy he obtained Honours in Medicine at Sydney University in 2005. Training in Orthopaedic Surgery was undertaken through the prestigious Northside training program with an exchange year spent in the eminent Victorian orthopaedic training scheme. His subsequent fellowships in Victoria were in trauma, sports and elective foot and ankle conditions, followed by the highly sought after Sydney foot and ankle fellowship in advanced techniques in managing complex foot and ankle conditions. Additionally, Dr Stephens has completed the AO Masters foot and ankle in Switzerland and operated with Swiss masters in foot and ankle replacement surgery. He is currently a member of the Australian Orthopaedic Association, American Academy of Orthopaedic Surgeons and SICOT (Societe Internationale de Chirugie Orthopedique et de Traumatologie), providing patients with international expertise in orthopaedic foot and ankle treatment. 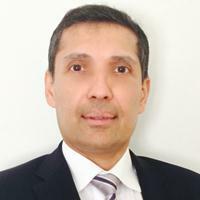 He is currently accredited at San Day Surgery Hornsby and Macquarie University Hospital. After winning the Mater Hospital Research Award in 2014, Dr Stephens turned his interest to the biomechanics of the foot and ankle pre and post injury, osteochondral defects of the ankle and their management, and the development of a reliable total ankle replacement.